A ton of people you have never heard of caught a DUI/DWI over the St. Paddies day weekend. 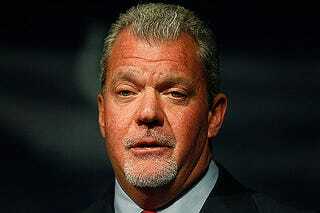 Some of you might have heard of Jim Irsay, known Dead Head, party boy, twitter crazy, and owner of the Colts was popped last night for DWI, and possession of a controlled substance. Go Colts baby! !